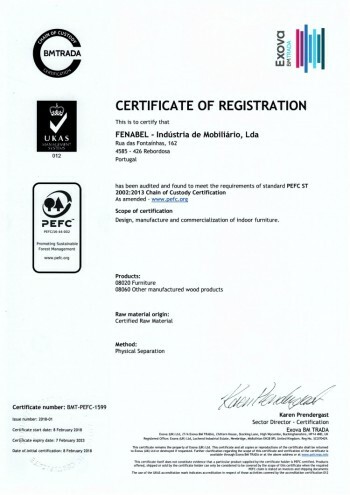 Fenabel has succesfully completed the PEFC certification process, so we can guarantee our clients, that the wood we use comes from a sustainable managed forest. Chain of Custody certification offers assurances that the final wood product can be traced back to a sustainable source and that production processes used to transform the finished product have been implemented with due respect for environmental, economic and social standards. This is our COMPROMISE WITH PEFC VALUES.